2017 saw another healthy year for legal recruitment in India, and it remains the most exciting function for career opportunities in the corporate governance space. Hiring across the legal sector (private practice firms and in-house legal teams of corporations and financial institutions) remained steady throughout 2017 with key trends continuing to reflect both global and regional influences. 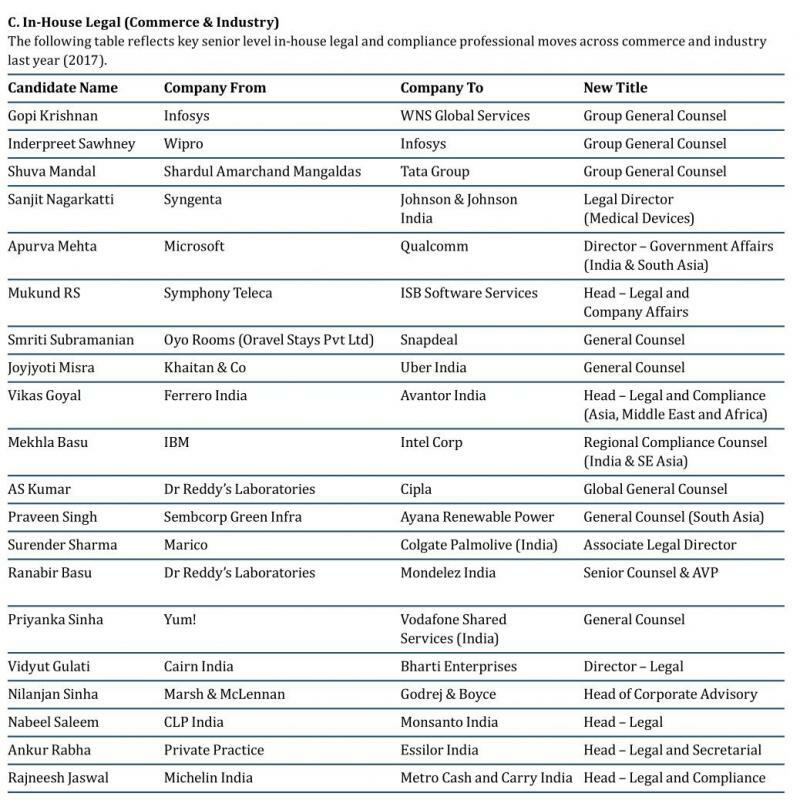 This piece provides an overview of key movements across the legal sector (divided into three segments- (i) private practice firms, (ii) In-House legal teams (BFSI), and (iii) In-House legal teams (commerce & industry) and then does a mid-market review of compensation and hiring trends in the organised Indian legal sector. Overall the 2017 private practice market was balanced but the firms and candidates remained cautious. At large-sized and prominent private practice firms- excellent communication skills, top law school and law firm pedigree have been a must for most hires. On the candidate side, few lawyers are moving for financial gain alone as was earlier the case, but are now placing equal (if not more) emphasis on work/life balance, the quality of the work on offer and the reputation of the hiring partners. 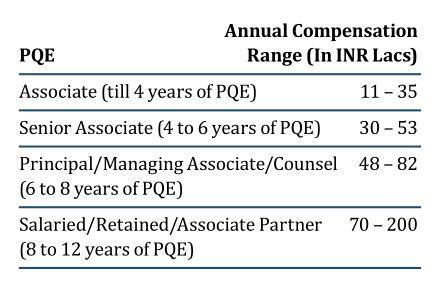 Below are the salary figures for 2017-18 in terms of seniority and PQE at reputable private practice firms across New Delhi NCR and Mumbai. These are due to be revised later this year for 2018-19. Bonuses have been considered in these figures. Bonuses could range from 10% - 50% of the total compensation depending on the level of the professional or 1 – 3 months of the fixed monthly retainer at the junior and mid-levels and/or percentage of receipts. Background / pedigree of the professional also impacts the compensation figures. Apart from the reputation within the ecosystem of a professional (especially at a senior level), law school, previous firm and years of experience are some of the major defining factors. Compensation is usually 10 - 15% higher in Mumbai than Delhi especially at the mid and senior levels. The market produced a number of opportunities as in-house lawyers moved around and looked for better opportunities. In addition, employers sought replacements predominantly from within the in-house market. Lawyers with about six to ten years of PQE were typically sought after, as they were often perceived to be a safe pair of hands and who could manage internal clients. These counsel were commonly groomed into a deputy head or head of position (depending on the team size) within the team. Specialist skill-sets, including compliance, remain in demand and many lawyers filled these newly created roles. Company secretarial professionals remained relatively busy, especially those with legal qualification, and high-quality individuals sometimes had multiple opportunities when considering a move. Apart from observing stricter interviewing processes that range anywhere between 4 to 8 rounds at the senior level, we are seeing emergence of specialized roles such as disputes counsel, transactions counsel, regulatory and government affairs counsel. 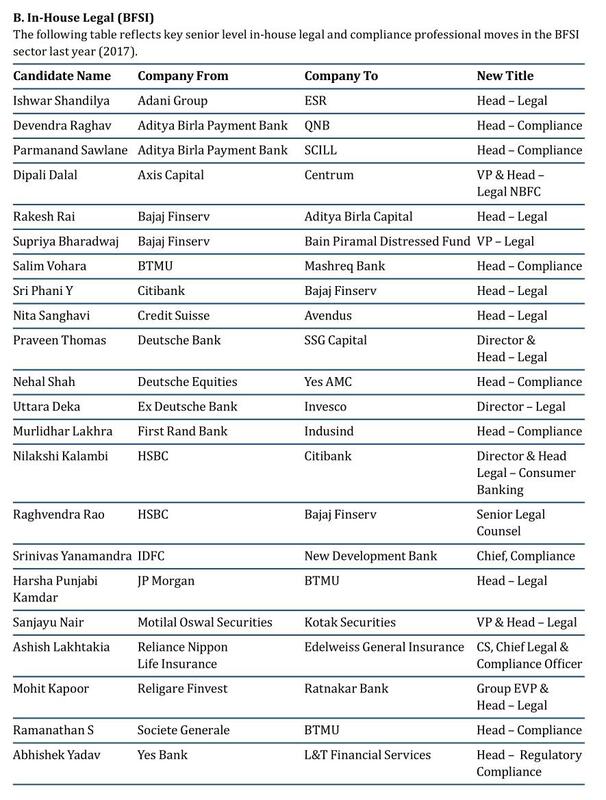 With the overall expanse of financial services sector widening in the last 2 years, 2017 saw an aggressive demand for legal and compliance talent spanning across New financial sponsor led platforms within wholesale NBFC, Housing Finance Companies, Distress Funds, Payment Banks, Retail NBFCs and Fintech. 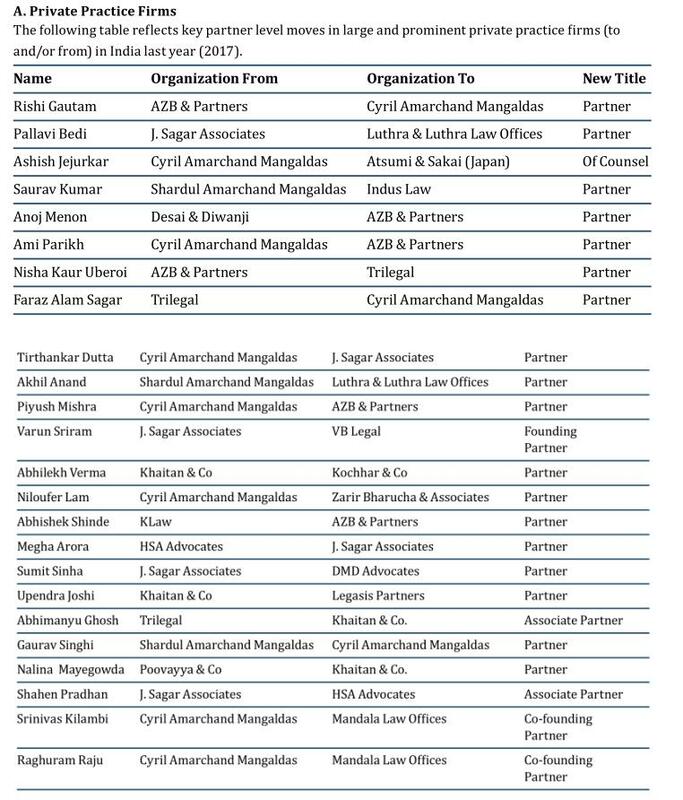 Key deputy head talent from leading banks and established NBFCs were enticed by emerging Indian NBFCs and global single bank branches to spearhead the legal function. Lawyers with Compliance/Secretarial function experience were preferred over a single function lead as they offered holistic solutions and control which is key for any start-up. Apart from being a cost effective measure for these firms, candidates were offered a bigger portfolio and wealth-creating opportunities in form of ESOPs versus the standard declining bonus pay outs in banks. In the commerce and industry space, we observed Pharma & Healthcare, IT & ITeS, Energy & Infrastructure as the top sectors; e-commerce slowed down a bit and so did the FMCG and manufacturing sectors (though there were a few senior level hires in these sectors but they were not comparable to the number of hires made in the previous years). Talent from within the industry (preferably same sector) was mostly required when hiring a counsel, and hence, we saw another year of the ‘musical chairs’ effect within the industry. 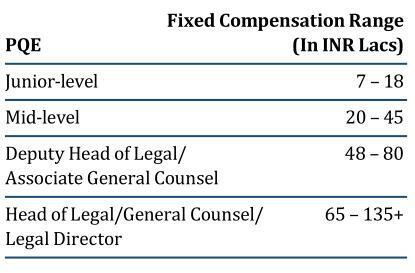 Below are the fixed salary figures for 2017-18 in terms of experience levels at top global banking and financial services institutions having legal teams in India. These are due to be revised later this year for 2018-19. 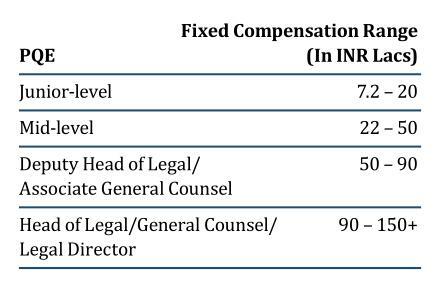 Below are the fixed salary figures for 2017-18 in terms of experience levels at prominent corporations having strong legal teams in New Delhi NCR and Mumbai. These are due to be revised later this year for 2018-19. This data is for your general reading purpose only. 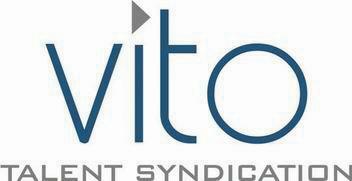 ALL data that has been published is based on aggregation of information curated through placements done by Vito India, news “heard on street” and aggregation of news from public domains / proprietary research of Vito India. Unless placed by Vito India, the information has NOT been verified directly with either the candidate or company mentioned in this data and no communication in any form has been received from ANY of the companies and/ or their employees directly or indirectly to either confirm or not confirm ANY of the information published in this data. Vito India reserves the right to amend or delete any of this information subsequently. Vito India is not responsible for any loss of damage that may arise of action taken by any one based on the contents of this data. In-house legal salary scales above for BFSI and commerce and industry do not include the variable payouts. Only top global BFSI companies have been taken into account while preparing the salary scales for the BFSI sector. Other global and domestic companies have not been considered. Bonuses can vary from 20% to 50% of the total fixed compensation depending on various levels of seniority. Total compensation can vary according to the location of the where the role is based- salaries in Mumbai are generally slightly higher than the ones offered in Delhi NCR. Some of the other key factors impacting compensation are- (a) pedigree of the professional (law school and organisational background), (b) additional qualifications such as CS and/or LLM, (c) market reputation of the organisation and (d) the reporting matrix and size of the legal team. Apart from the above, we also observed that MNCs (especially if they are listed) tend to offer better salaries and benefits than their Indian counterparts. 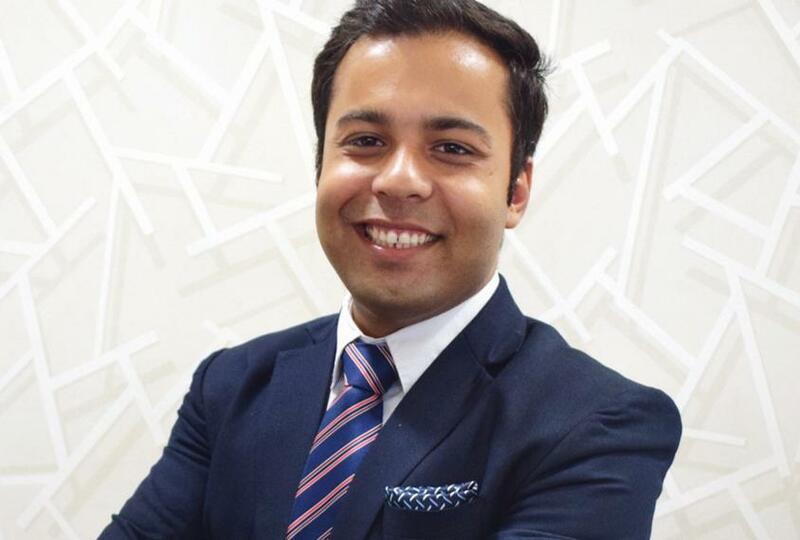 Rishabh Chopra is Head – Legal and Compliance practice at Vito India Advisors. He is an experienced lawyer turned legal search specialist. He started his career by working as an associate in the structured finance team and then in the general corporate and M&A team of Amarchand Mangaldas in Mumbai and New Delhi. Prior to joining Vito India Advisors, he headed the India offices of Aquis Search. The author would like to acknowledge the contrbution of Chaitra Desai (Principal) and Yamini Malhotra (Consultant) along with the research team at Vito India Advisors. Incorrect data on salary for law firms. May appear skewed but after seeing the mention of top paying firms realised the data universe is not that big and numbers could be that high for those firms. Apart from the big 5 or 6 law firms (subject to debate), Platinum, S&R and TTA should fall within this range (especially those who are either favorites or those who perform well). The numbers are in right ballpark. Do they really get paid that much or only the favourites get paid that much? I have not come across rich lawyers from these law firms. We need some real figures and real reports from the lawyers themselves. With some bonus payouts being relatively high (discretionary!) at firms like AZB Mumbai, KCo Mumbai, TTA and others last year, I know a few good folks would surely fall in the higher bracket of these numbers. next time you should do a comparative study on Delhi versus Mumbai salary numbers. Like always the higher side is generally true for Mumbai it appears. Kian can you help on this? good thing you mentioned that litigation teams have not been considered, that annual compensation chart almost made me go into depression ! Good data on it- most weren't even reported on LI and B&B. How much is Luthra fresher getting from a top law school? CTC and signing bonus, if any? Is anyone even joining them? Other than NUJS and NLUJ kids who are lifted en masse by their own alumni? No. Or they aren't in charge of recruitment? Well the world knows who we are talking about. VK is known to schedule L&L interviews the first at NLU J giving them an upper hand. Please explain why Other law firms consider even law schools like NLIU and GNLU before NLU-J? one has to look at the compensation chart for law firms realistically. Most/majority firms don't pay anywhere near that. Heck, even after working for few years in a firm most people don't make 12 lacs p.a. All those ridiculous figures that you see are for a chosen few firms & only a minuscule percentage of people get such amounts. As long as you are happy with that, its fine! So, gti going on about people not making 12 lakhs pa is clearly an attempt at trolling OR grossly misguided. If an A0 is making that much, I'm sure there is at least some exponential increase across senior levels. As someone currently employed at a "Big 6", I can tell you those numbers are a bit off. Luthra pays around 12pa at A0, definitely not 15. JSA pays around 12 too with the numbers strongly boosted by their timesheet based remuneration eventually, Trilegal is 13.5 unless you're counting their bonus and Khaitan pays around 13-14. Of course these numbers should include bonus, as most of these firms give a large portion of the bonus pretty much automatically. How much pay cut is expected on moving from a law firm to in-house? Can say with convinction that salary package at SA level in a big law is less than what is stated in the article. These numbers are of bygone times. No 8 year PQE earns 82 lakhs is today’s market even if he/she is a star performer and gets 200% bonus. LI Team a market study is really required and when you do the study, please ignore the designation. Designation today is the lollipop which every firm is distributing. Reality is that a top firm reduced its band last year. I have reason to believe that people who get high pay packetes are paid back not for their work in office but for something else. Its like paying high packets to employees/parterns/associ ates whose relatives have done favours for the company/ firm earlier. Even designations are allotted like that. Dont believe designations and pay packets. Its not what it seems. Hi Kian, "effectively" Head legal of Monsanto India is Mr. Sharad Kumar.